While balancing a growing family, a talent for rodeo and a dedication to friends and family, Berger has worked alongside many fulfilled clients in her more than two decades of experience at Planned Professional Management. Now owner and president of the firm, she takes pride in long term relationships with clients who trust her to see them through everything from a first plan to savings transitions to insurance needs. Serving clients in more than six states and being involved in Wichita, Kansas business networks, Berger currently lives in Udall, Kansas with her husband and children. 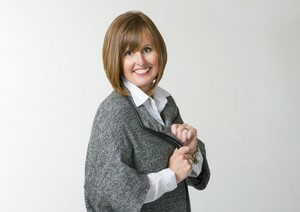 She is a member of the Wichita Chamber of Commerce and Junior League of Wichita. She enjoys barrel racing, crafts and spending time with family. Berger is a registered representative of Comprehensive Asset Management and Servicing, Inc, with whom all securities transactions are placed.